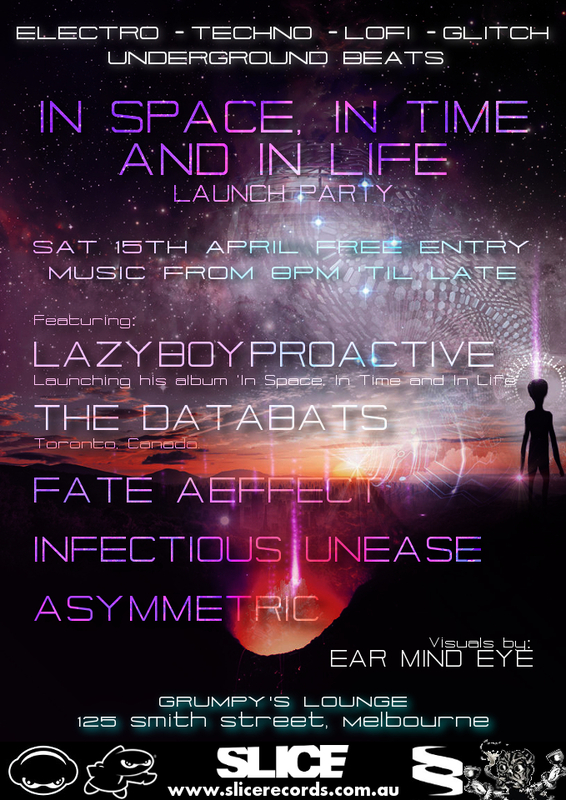 Come down to Grumpy's Green for the release party of Lazyboyproactive's second album 'In Space, In Time And In Life' from Slice Records! 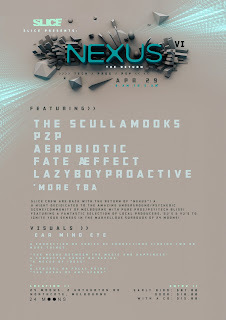 The night will feature quality beats from Melbourne local and international producers and sensory bending visuals! From 8pm 'til lat. FREE ENTRY - PAY WHAT YOU WANT! 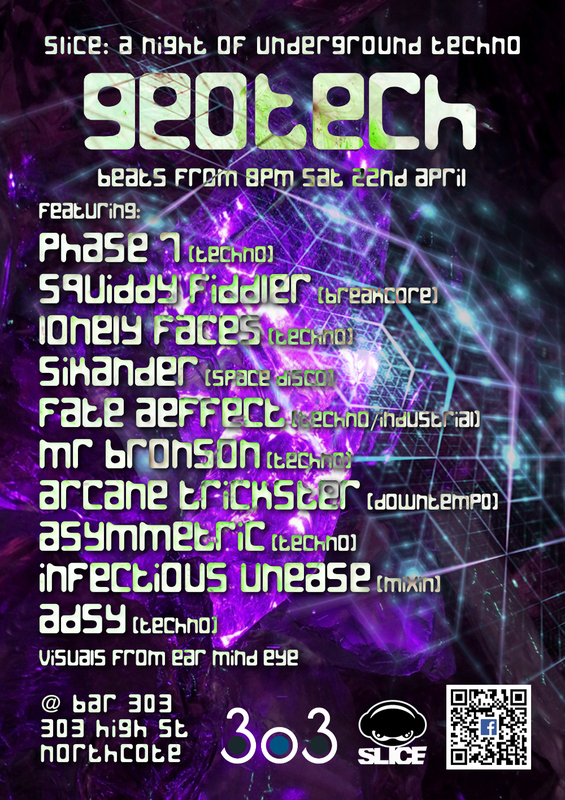 Come on down to Bar 303 on Saturaday the 22nd of April for a great night of local TECHNO sure to get your groove on! DJ's and acts front and back room! 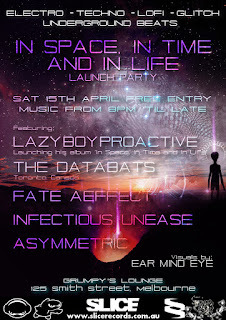 Bring your friends, it's gonna be wicked :) Everybody welcome, All inclusive event! 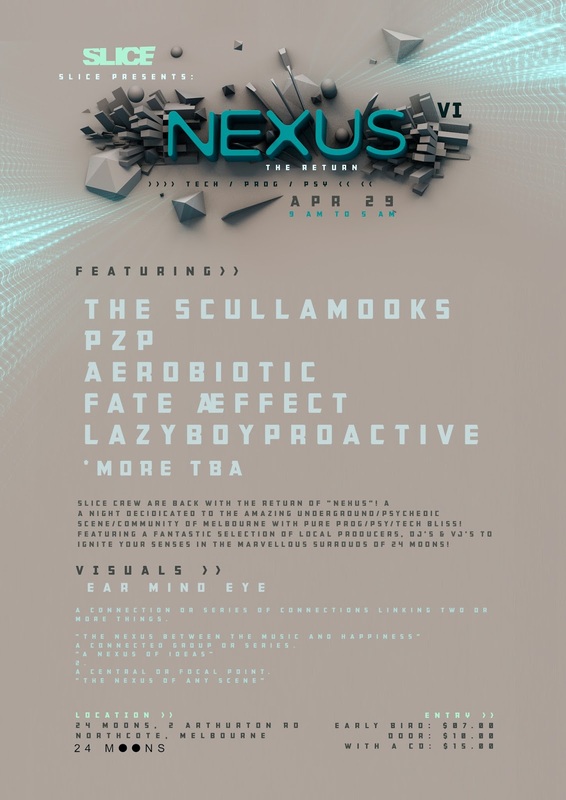 Slice crew are back with The Return of "NEXUS"! 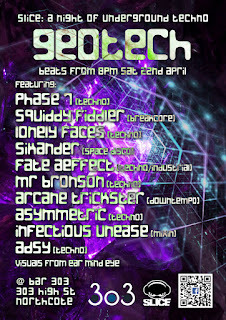 A night decidicated to the amazing underground/psychedic scene/community of Melbourne with pure prog/psy/tech bliss! Featuring a fantastic selection of local producers, DJ's & VJ's to ignite your senses in the marvellous surrounds of 24 Moons!